UI-601 USF Morsani College of Medicine and Heart Inst. 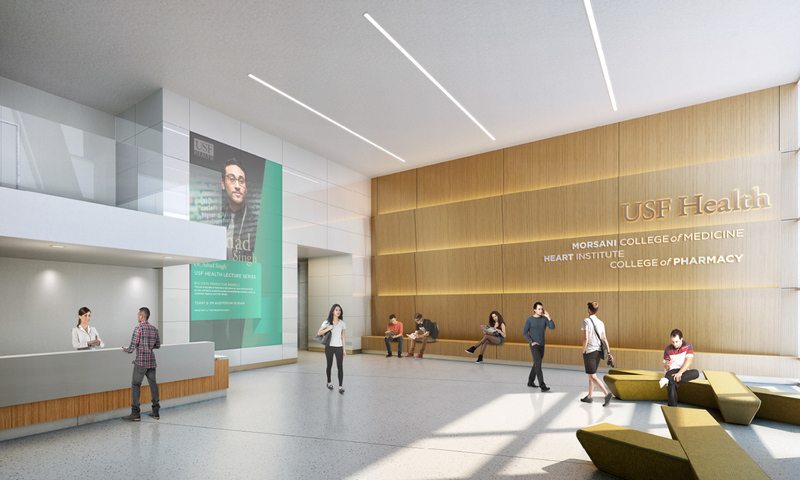 The USF Morsani College of Medicine and Heart Institute is a state-of-the-art education facility, creating the next generation of physicians and medical researchers. The 320,000-sq.-ft. facility, scheduled to open in 2019, will accommodate 2,275 faculty, staff and students. 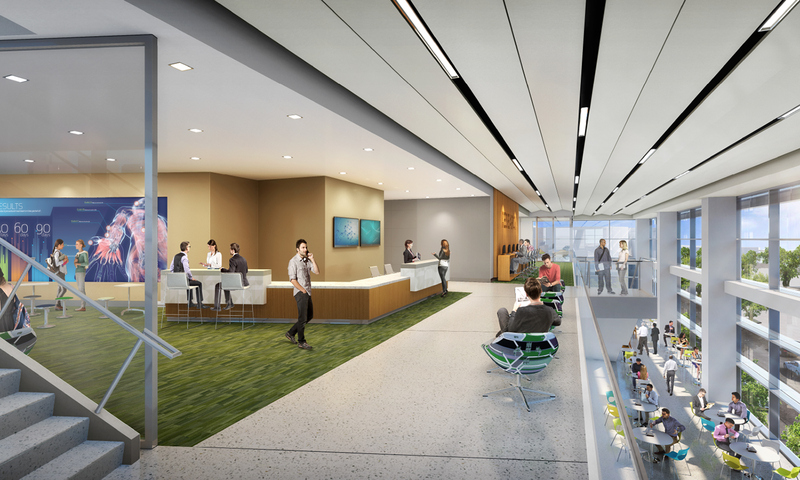 The building includes a variety of learning and conference spaces, an auditorium, laboratories, faculty offices, and a clinical trials research and cardiac care unit. The prismatic design responds to functional requirements and embodies a symbol. This facility will be occupied by two distinct departments. The prism disperses white light into an array of colors. So too the University brings together and reveals its multi-faceted academic enterprise. Through an extensive use of glass and a series of interconnected spaces we sought to engage the activities within to each other and to the City. The holistic design facilitates a progressive approach to teaching medicine and encourages the informal exchange of ideas so critical to the advancement of medical research. 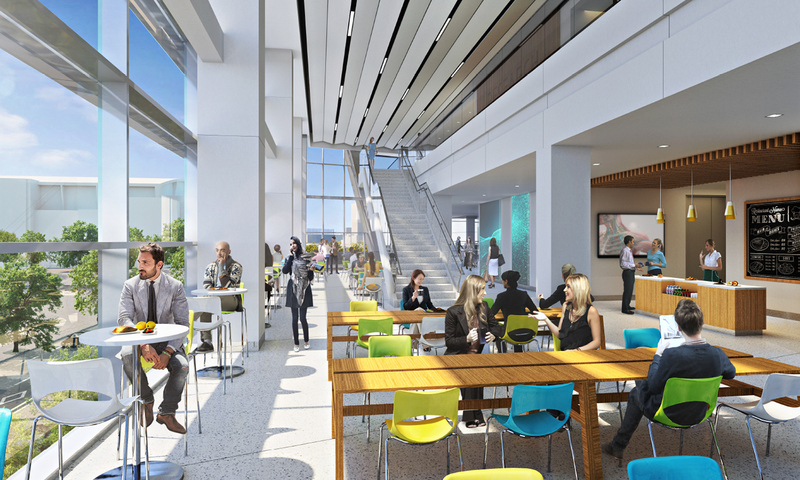 Public stairs and atriums, weave a path that connects all aspects of the medical school. Public spaces as well as other medical school components make up larger floor plates situated at the base which visually aid in grounding the building. Above these levels, the floor plates reduce in area, where they contain laboratories and administrative functions. 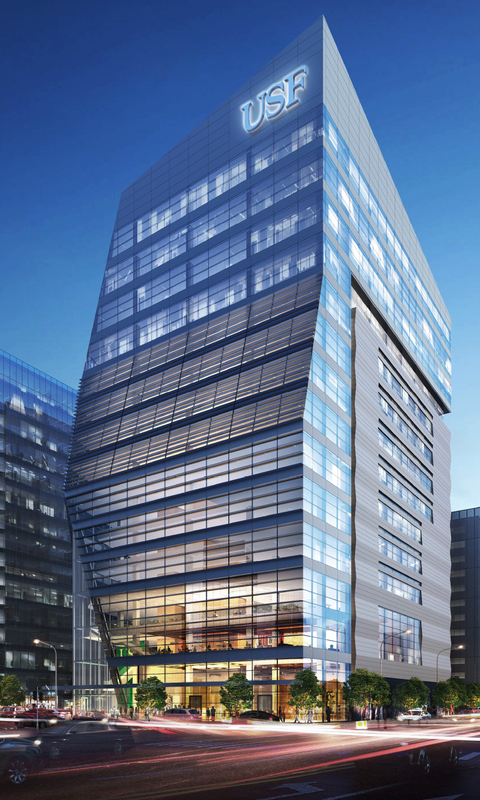 The southern face of the building responds to the reduction in area by canting inward, creating a sense of relief from the overall building mass. Our design is part of a larger master plan for Tampa’s waterfront, and seeks to help build a walkable, sustainable and activated street environment by incorporating retail and defining a well-scaled pedestrian plaza. 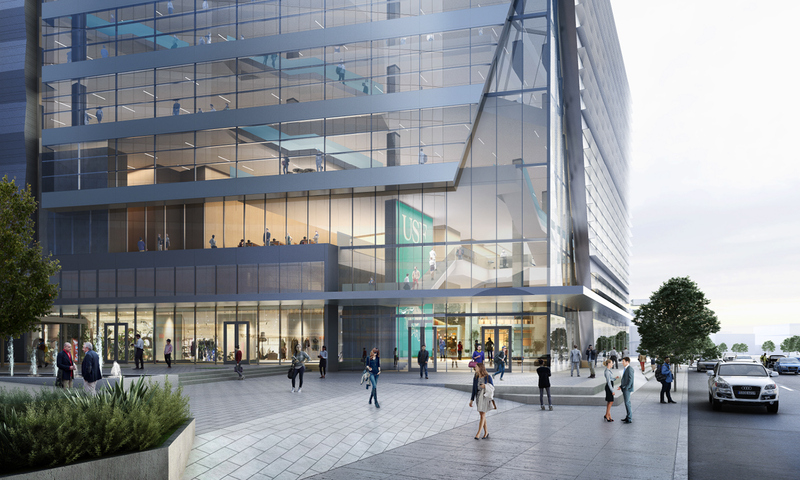 Careful attention to materials and details, responds to the human experience of this building, while its unique presence in the Tampa skyline highlights the important role of USF in the community.